Dr. Spangler received his medical degree from Rush Medical College. He completed his residency at Rush University Medical Center, completing an additional year as Chief Resident. 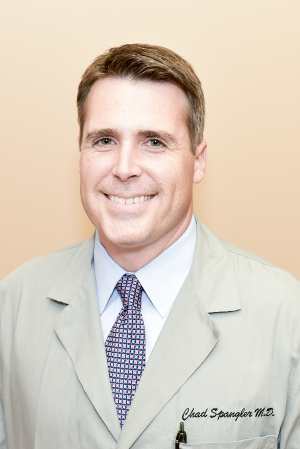 He completed his Gastroenterology fellowship at Dartmouth-Hitchcock Medical Center, completing an additional year of Advanced Endoscopy Fellowship. Dr. Spangler was born in the Chicagoland Area. He currently lives in the Barrington area with his wife and children. He enjoys watching sports and spending time with his family. Personal Philosophy: Listening carefully to patients and providing exceptional care. © 2018 Gastroenterology and Internal Medicine Specialists, S.C., a Division of GI Partners of Illinois, LLC. All Rights Reserved.